James R. Johnson, Jr., 74, of Bethlehem, passed away September 26, 2018. He was the loving husband of the late Lynn P. (Anderson) Johnson. Born in Fountain Hill, he was the son of the late James and Irene (Hawk) Johnson. James served in the U.S. Army during the Vietnam War. 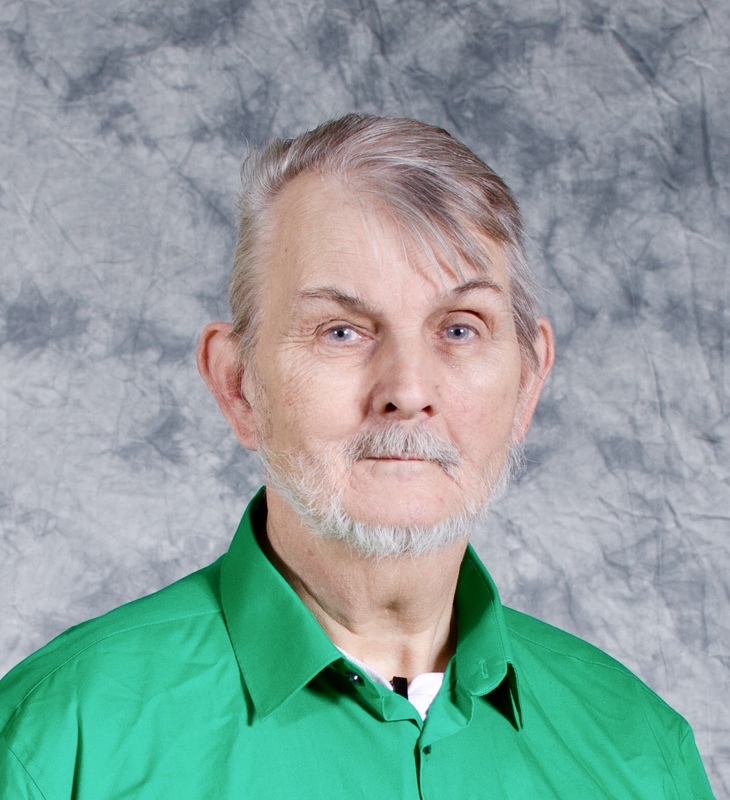 He was a member of CrossPoint Wesleyan Church and participated in their Darts Baseball League. James also enjoyed being a part of the Noise Nation for the Iron Pigs. Survivors: children- James R. Johnson III of Bethlehem, Ryan M. Johnson of Allentown, Heather Irene Serrano of Bethlehem; grandchildren- Summer Star Flynn and Tyler Gabriel Johnson; sister- Maryann Elliott of FL. He was predeceased by his brother- Carl Johnson. A viewing will be held on Thursday, October 4th 11AM-12PM with a Service at 12PM in Downing Funeral Home, Inc. 1002 W. Broad St. Bethlehem, PA 18018. Burial to follow in Cedar Hill Memorial Park. In lieu of flowers, contributions can be made in James’ memory toward the funeral expenses care of the funeral home. 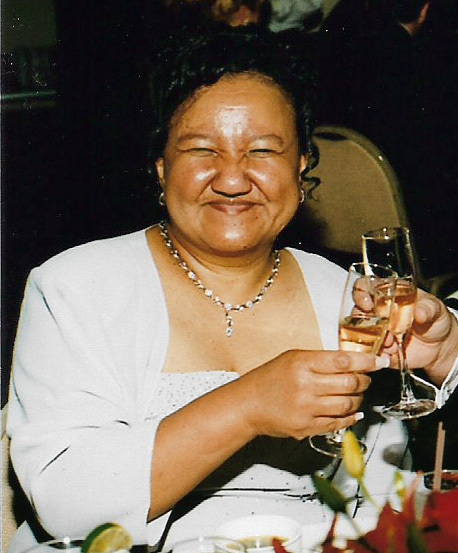 Alice (Moore) Jones, 64, of Bethlehem, passed away December 11, 2016. Alice was the loving wife of the late Thomas G. Jones for 44 years. Born in Red Bank, NJ she was the daughter of the late Reuben and Ayako (Kawaii) Moore. Alice graduated from Liberty High School in 1970 and attended East Stroudsburg University. She retired from the U.S. Postal Service. Alice had many friends and was known for her kind and loving heart and for always having a smile on her face. She had a love for music and would attend many concerts. Alice enjoyed spending time with her family and would often visit her grandchildren in the Midwest. Survivors: Daughter- Angela; Sons- Thomas and Chris; Grandchildren- Andrew, Anthony, Alexander, and Victoria; Sister- Marion Moore. A viewing will be held Wednesday, December 14th 12-1PM with a Service at 1PM on Wednesday in Downing Funeral Home, Inc. 1002 W. Broad St. Bethlehem, PA 18018. Burial to follow in Bethlehem Memorial Park. Thomas G. Jones, 65, of Bethlehem, passed away December 2, 2016. He was the loving husband of 44 years to Alice (Moore) Jones. Born in Scranton, he was the son of the late William Woodford Jones and Margaret (Brundage) Jones. Thomas retired from Bethlehem Steel where he worked at the Coke Works. He was also the President of the Union Local 2599. Most recently,Thomas worked for CWA Local #1032 as a Senior Staff Representative. He enjoyed golfing in his free time and was a member of the Home Association Club in Bethlehem. Wife- Alice; Daughter- Angela; Sons- Thomas and Chris; Grandchildren- Andrew, Anthony, Alexander and Victoria; Brothers- William, Robert, Ronald, David and Richard; Sister- Karen. He was predeceased by his sister- Carol. A viewing will be held Wednesday 12-1PM with a Service at 1PM on Wednesday 12/7 at Downing Funeral Home, Inc. 1002 W. Broad St. Bethlehem, PA 18018. Burial to follow in Bethlehem Memorial Park. Contributions can be made in Thomas’s memory to St. Luke’s VNA Hospice House. 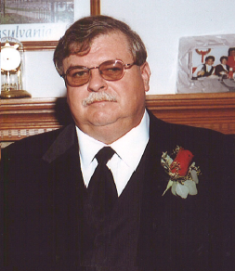 Phillip June Jr., 55, of Bethlehem, passed away February 17, 2016. He was the loving husband to Gina C. (Biddle) June. Born in Bethlehem, he was the son of Sandra (Strickland) and Phillip June Sr. Phillip worked for over 10 years for Lehigh Valley Dairy. Parents; Wife; Daughter- Kristine June of Bethlehem; Grandson- Landon Diaz; Brother- Joseph June Sr. of Bethlehem; Sister- Sandra Haas of Bethlehem; Many Nieces, Nephews and Friends. A calling time will be held on Monday 6-7:30PM with a Memorial Service at 7:30PM in Downing Funeral Home, Inc. 1002 W. Broad St. Bethlehem, PA 18018. In lieu of flowers, contributions can be made to the June Family care of the funeral home. Joan M. (Peters) Johnston, 79, formerly of Allentown, passed away December 6, 2015 leaving a legacy of love, advocacy, and peacemaking. She was the cherished wife of 57 years to John Johnston. Born in Allentown, she was the daughter of the late Earl and Mary (Brichta) Peters. Joan graduated from Sacred Heart School of Nursing. She was a devoted member of Notre Dame of Bethlehem Catholic Church. She fought for equal education rights for all children; cared for and treasured her grandchildren and great grandchildren; led her extended family and served as bowling league Treasurer for the Alley Cats. Husband- John Johnston; Children- Jane Swan and husband Robert of Pottstown, Jennifer Abraham and husband David of Northampton, Ann Johnston of Wilmington, DE, John Johnston and wife Ann (Fiegl) Johnston of Bethlehem and James and wife Kelly Johnston of Bethlehem; 11 Grandchildren; 3 Great Grandchildren; Sisters- Elaine Haas of Coopersburg, Rosemary Forfythe of Perkiomenville and Earlene Markovitch of Allentown. Donna Awacha, Joan's remarkable caregiver, served her with grace and dignity. Joan was predeceased by her sisters- Kathy Oatley and Fran Pacaro both of Allentown. A viewing will be held on Saturday 10-11AM with Mass of Christian Burial at 11AM all in Notre Dame of Bethlehem Catholic Church 1861 Catasauqua RdBethlehem. Burial to follow in St. Joseph’s Catholic Cemetery in Limeport. Arrangements care of Downing Funeral Home, Inc. Contributions can be made in Joan’s memory to the American Diabetes Assoc. 1160 Rt 22 E. Suite 103 Bridgewater, NJ 08807. 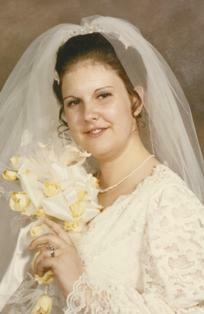 Lynn P. (Anderson) Johnson, 62, of Bethlehem, passed away April 30, 2014. She was the loving wife of 44 years to James R. Johnson Jr. Born in Brooklyn Heights, NY she was the daughter of Pearl (Jandro) Thompson and the late Winston Anderson. She was an Honors Graduate of Levittown Memorial High School and received her Associates Degree from Allentown Business College. Lynn was a member of Calvary Wesleyan Church. She enjoyed reading and music. Husband- James R. Johnson Jr.
A viewing will be held Wednesday 10-11AM with a service at 11AM in Downing Funeral Home, Inc. 1002 W. Broad St. Bethlehem, PA 18018. Burial to follow in Cedar Hill Memorial Park. In lieu of flowers, donations can be made in Lynn’s memory to Calvary Wesleyan Church, Bethlehem. Merrill Eli Joire, 90, resident of Kirkland Village, Bethlehem, passed away Sunday, June 30, 2013. He was the loving husband of the late Marjorie (Downes) Joire. Born in Green Bay, WI he was the son of the late Eli and Vesta (Miller) Joire. A graduate of East High School in Green Bay, Merrill served as a pilot in the United States Army Air Force during WWII. He worked as a General Contractor in Delaware County, PA where he resided for more than 50 years. Merrill was an avid fan of the Green Bay Packers and loved animals especially cats. Survivors:Son, Kenneth and wife Elizabeth of Bethlehem; granddaughters, Kymberly and Victoria Joire. He was predeceased by sisters, Carol Ramsey and Vesta Hanrahan. Brother and sister-in-law, George and Jane Downes; nieces, Cheryl Galan and Barbara Diestelow. Services: A viewing will be held on Tuesday, July 9, 6 to 8 p.m. in Downing Funeral Home, Inc. 1002 W. Broad St., Bethlehem 18018. Entombment to be held privately. A memorial service will be held on Wednesday, July 10, at 1 p.m. at Kirkland Village. Contributions: In lieu of flowers, the family is requesting that donations be made to The Kirkland Village (Endowment) Fund for Charitable Care. Susan M. Jacoby, 96, of Bethlehem, passed away Sunday April 7th, 2013 at Westminster Village in Allentown. She was the loving wife of the late Eugene Jacoby, to whom she was married to for 67 years. She was proceeded in death by her parents, and by her son Richard Jacoby. She was a factory worker in the Lehigh Valley for many years. She enjoyed cooking, baking, and family gatherings. She will be missed by her family and friends. Survivors Daughter Geraldine Ace of Allentown, and son Parker Jacoby of Bethlehem. Sister Marie Ruth of Montgomeryville. Nine grandchildren, 11 great-grand children, and 5 great-great grandchildren. 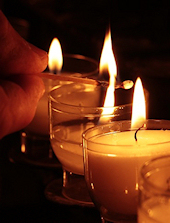 Services are Wednesday, April 10, at Rosemont Lutheran Church at 11am, 1705 W. Broad Street, Bethlehem. Followed by burial at Bethlehem Memorial Cemetary.